Boondi are fried gram flour balls. They are salted and crisp. They are easily available in grocery shops. 2. Add salt, sugar, jeera powder and red chili powder. 4. Add Boondi and mix. 6. Yummy BOONDI RAITA is ready to serve. 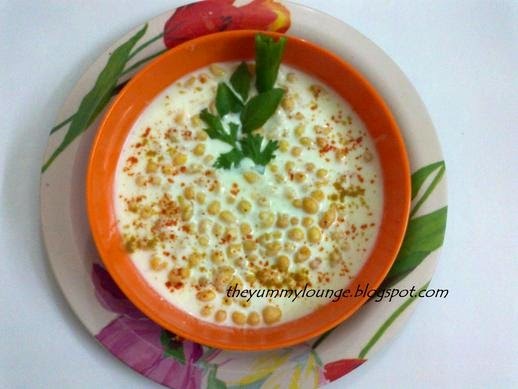 Boondi raita can be served with Biryani, Nutrela Soya Chunks Biryani or Pulav. If it is served cold or room temperature, it gives good taste.